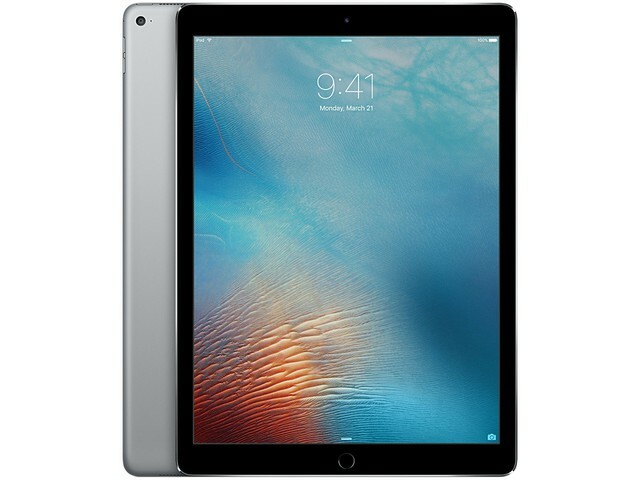 About this iPad Pro 12.9"
The iPad Pro is Apple’s flagship iPad coming in 12.9 inch. As Apple says, it is an “uncompromising vision of personal computing for the modern world”. The models are a merger of power and performance, with portability and agility, and wonderful form, to bring you the most powerful and frictionless experience. The advanced screen means you’ll be able to see the millions of pixels in many different lighting scenarios, and the high quality speakers on each corner of the device, ensure you’ll immerse yourself in music and entertainment on you iPad Pro. And you’ll always be looking good with your iPad as it comes in a range of colors, namely: Silver, Gold, Space Gray, Rose Gold. Configure storage up to 256GB, and throw in an Apple Pencil too (Apple’s ultimate multi-touch pointing device), and you’ll be in possession of the ultimate portable device.